The RAC Dealer Network has revealed that warranty sales by unit have increased by 11% in the third quarter of 2018 across its network of car retailers. 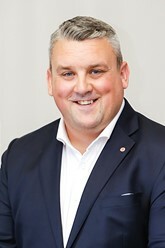 The approved retail network said that the rise was powered by a number of factors including higher sales and penetration of warranties at larger dealers - especially car supermarkets, higher consumer interest in longer and more comprehensive cover, growth in the number of dealers in the network and enhanced product support and development. 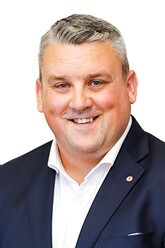 RAC Dealer Network’s sales director, Sean Kent (pictured), said: “Third quarter sales across the network were very buoyant and have set us well on the way towards meeting our target of an overall 10% increase in unit sales for the whole of 2018. “There are also some interesting trends behind this increase. At larger dealers, especially car supermarkets, we are seeing a faster churn of stock. "This is happening because high trade prices are prompting dealers to sell more units in a shorter time, leading to more warranty sales resulting from the standard cover provided with every car and van. “The other key factor is wavering consumer confidence caused by the general slowdown in the UK economy prompted by Brexit and other factors. “Another reason for the increase has simply been that the network has grown – we have added 80 members so far this year to reach a total of 1,360. Kent said that, assuming that the RAC hit its 10% overall warranty sales increase target for 2018, it would be the fifth year in succession that the company had seen double digit growth.